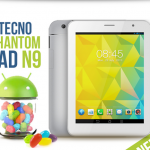 The android operating system being open source has really given birth to many mind-blowing devices like the Tecno Phantom N9 tab and LG G pad 8.3 tablets we have chosen to review today. I really made some comical videos to tell you how impressed I was at the announcement of this android tablets. I was already one of the fortunate dudes to own a Samsung galaxy note 10.1 during it’s early launch and as such knows how cool it feels having one of these. 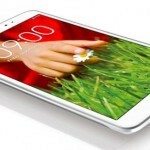 Frankly, both the Tecno phantom N9 tab and LG G pad 8.3 comes in a very affordable amount, making it both easy for students and old folks alike to own one. I have taken my time to make the comical video review with some cool effects to entertain you while going through the specifications and features of this sleek android tablet devices both running on the latest android jelly bean operating system. 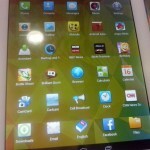 Note that the both pads are android powered tablets and could also do a lot when it comes to usability and portability. Here is a brief review for those whose data plan aren’t covered for video access or for those browsing with low end phones. a 5 MP primary camera with 2592х1944 pixels and a 1.3MP secondary (front) one. a measurement of 0.33 inches thickness and weight of 12 ounces. 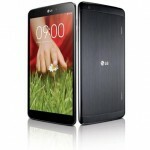 Just like the LG G pad 8.3 android tab above It …. What else will I say? They are both brilliantly built, awesome and comes at a very affordable amount too, they should be a good bet and worth your investment on them too. Just like every other high end android devices out there you can download thousands of application, 3d games and lots more. Just give it a try and ride ahead with the many of us that are currently enjoying the feel of the jelly bean android operating system. 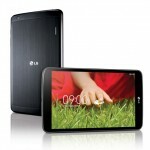 Awesome video review bro, I kind of like the LG G pad but I am seriously considering a Windows 8 tablet. They have been so much hype about what Android can do, I fell for it but I already spending less time time with Galaxy Tab. Who know what 2014 would bring, now that Microsoft has acquire Nokia and Ballmer is leaving, we might begin to see much more aggressive push with Win8 because people really don’t know the capabilities of Windows tablets. On gaming, no tablet has impressed me even now that the PS4 is releasing soon.. they will need to do more work to ever get that scale. I love buttons :) and thats one big let down of tablet and why the PS Vita is my automatic alternative to handheld gaming. Thanks for being here today bro Nosa, I personally do not like anything Microsoft when it comes to mobile devices. I would have appreciated it If you have stated other features that could make the Windows 8 devices compete favorably with other top mobile operating system out there. About your getting tired of your galaxy tab already, I doubt I could ever come to that point ‘cos android OS has always been my favorite when it comes to choice to smartphones and mobile gadgets. This is an excellent review brother , both these tabs seems to be powerful . Though tecno brand of smartphones/tablets are no available here in India ..i have heard a lot a positive reviews about it. If i had to choose between the two , i would go for tecno . Thanks for sharing the information. 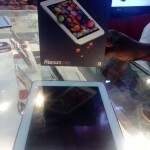 Tecno Mobility has always been great with the kinda devices they roll out almost on quarterly basis. Being in India too can not stop you from owning one since you can easily order them from the internet. Thanks for dropping by bro, do have a great day too.